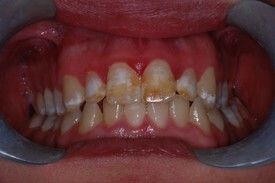 Before: Front teeth have discolored and the size and shape of teeth are not uniform. 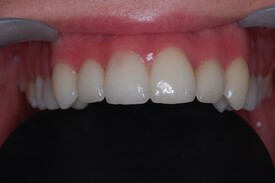 After: Replaced with Porcelain Veneers. Teeth are now contoured to match and the staining is now gone. Restored teeth look very natural and matches the color of the patient's teeth.